On March 13, 2019, the World Bank Group made several announcements to scale up support for both climate adaptation and mitigation in Africa during the third One Planet Summit. The summit was convened by President Uhuru Kenyatta of Kenya, President Emmanuel Macron of France, Interim President of the World Bank Group, Kristalina Georgieva, and Deputy Secretary-General of the United Nations, Amina Mohammed. The World Bank Group is stepping up its climate support for Africa. With continued support for IDA, the World Bank’s fund for the world’s poorest countries, this will provide $22.5 billion for Africa for climate adaptation and mitigation for the five years from 2021-2025. This more than doubles the commitment to climate-related projects over the last five years. The funding is part of the Bank Group’s 2025 Targets to Step Up Climate Action, launched in December 2018 during the United Nation’s COP24 in Poland. It will help African countries manage the risks of a changing climate while unlocking new investment opportunities. IFC and MIGA, the Group’s private sector arms, will also continue to ambitiously grow their climate activities in Africa. Recognizing that a number of countries in Africa are among the most vulnerable to global climate shocks and stresses, and in line with these new climate financing commitments and future direction of the Bank’s Africa Climate Business Plan, more than half of the $22.5 billion in financing will be devoted to supporting adaptation and resilience in Africa. This will amount to about $12-$12.5 billion over five years from 2021-2025. The World Bank—as trustee of the Carbon Initiative for Development (Ci-Dev) trust fund—and Kenya Tea Development Agency Power Company Ltd. (KTDA Power) signed an Emission Reductions Purchase Agreement (ERPA). The contract purchases carbon credits from small hydropower plants, providing power to 350,000 smallholder tea farmers and 39 of their regional tea factories in Kenya. The new ERPA brings the Ci-Dev portfolio to more than $73 million in implementation. In related news, on March 19, 2019, just as Cyclone Idai was about to strike Mozambique, the World Bank approved a $90 million grant from the International Development Association (IDA) in support of the government of Mozambique’s Disaster Risk Management (DRM) and Resilience Program. This financing will support the implementation of the government’s second DRM master plan, which seeks to improve financial protection against natural disaster, including the operationalization and capitalization of the recently established Disaster Management Fund; strengthen disaster preparedness and response; and build climate resilience into vulnerable education infrastructure. Mozambique exposure to climatic shocks is made worse by the effects of climate change, which highlights the importance of strengthening the country’s financial resilience. Without changes in climate and disaster risk management and financing policy, climate change is expected to cause economic damages of up to US$7.4 billion during the period 2003–50 in Mozambique. “Indeed, the negative impact of economic and disaster-related shocks is exacerbated, among other things, by limited fiscal space to respond quickly and effectively to these shocks,” added Michel Matera, World Bank senior urban specialist and the project’s task team leader. 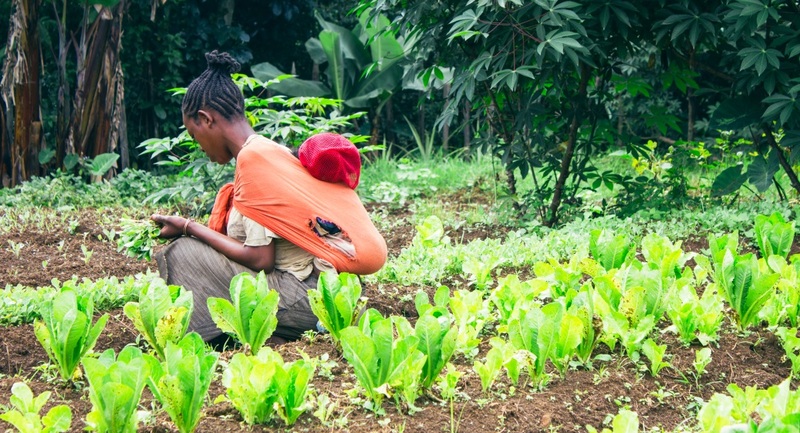 Photo of farmer in Ethiopia via Adobe Stock. See One Planet Summit website.